If you have a fire at your business, SERVPRO understands how important it is to get back to work as quickly as possible to avoid losses and keep your customers happy. In October of 2018, SERVPRO of Davenport/Bettendorf responded to a fire disaster at a large local manufacturer and distributor. 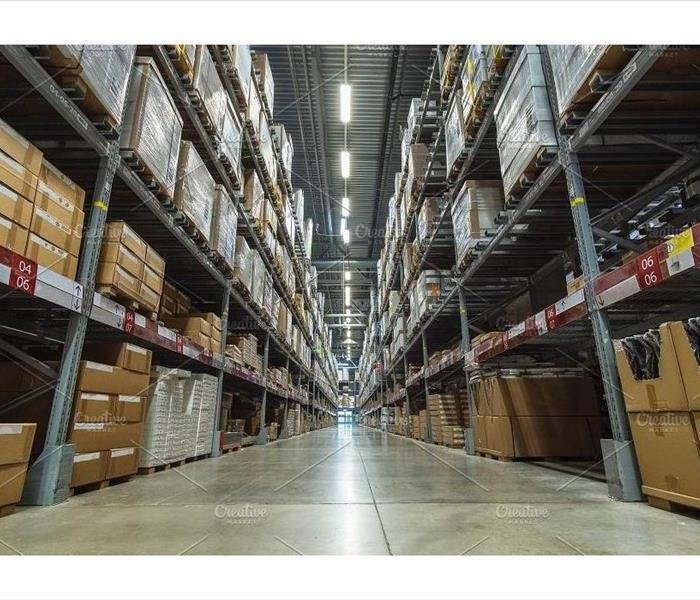 An outside fire that made its way into the facility caused smoke and soot damage to their entire warehouse and much of the merchandise they distribute. For this company, stopping business was not an option. SERVPRO was able to accommodate this business and work around their schedules to ensure continuation of business and prevention of any further loss. This is just one an example of SERVPRO of Davenport/Bettendorf going above and beyond to accommodate local businesses. We are dedicated to restoring your business and avoiding business downtime. 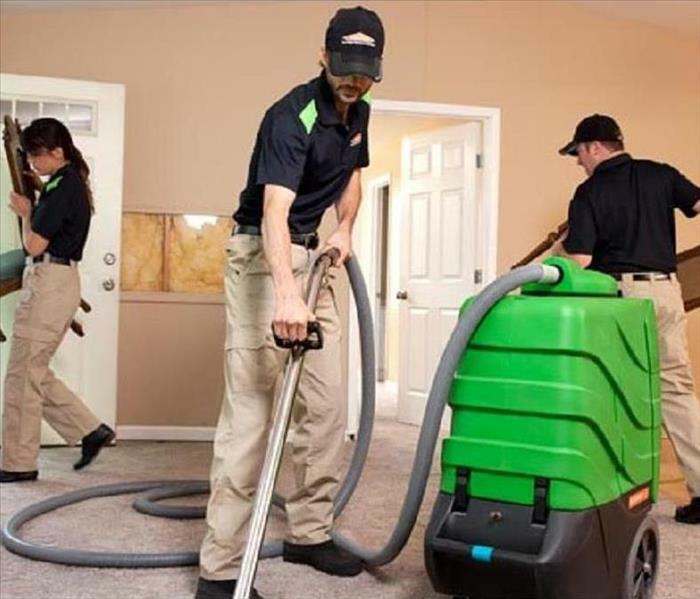 Whether you have a small business or a large commercial operation, SERVPRO has the skills and dedication to get the job done quick and with minimal interruption. Why Choose SERVPRO for Odor Elimination? SERVPRO professionals assess your odor source and present you with the best options for elimination. Unpleasant odors can be tough to get rid of in your home or business. This is especially true following a fire. Even a small fire can cause oppressive odors to linger for years unless the soiled areas are properly cleaned and deodorized. Left untreated, the aftermath of the soot and smoke from fires can become permanent. This is because, as smoke and soot travels throughout your structure, residues and deposits can get left behind in hard to reach places; the longer this sits, the more time it has to soak into the affected surfaces or materials. At SERVPRO, our highly trained technicians have years of experience cleaning and deodorizing odor sources. Whether you have odor caused by fire, mold, pets, or cigarette smoke, we have the experience and expertise to tackle any size job at your home or business. We do not simply cover up the orders with fragrances; instead, our team of professionals pin-point the exact location of your odor and eliminate the source. Once we identify the source, we use our own proprietary cleaning products designed to eliminate odors and prevent them from returning. This service also includes any items within range of your odor problem that also need treatment, such as furniture, draperies, floors, walls, HVAC systems, ceilings, and more. 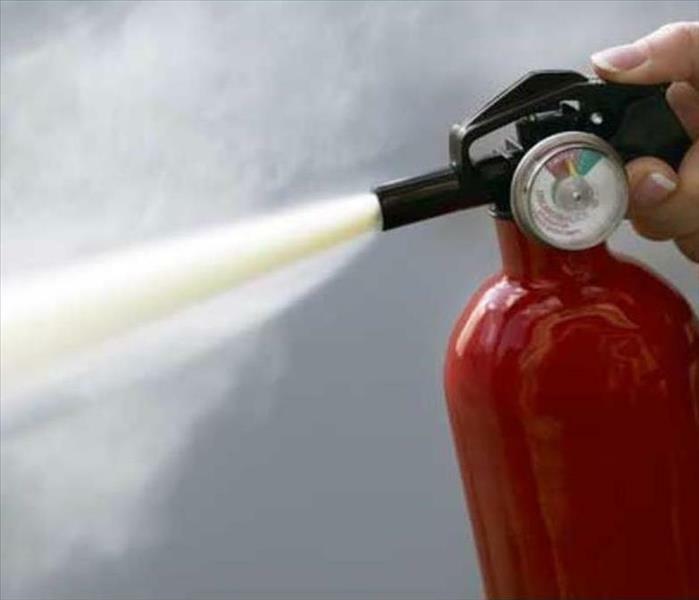 Fire extinguishers play a crucial role in minimizing the impact that a fire can have on your home or business structure. Having one close by is critical to reducing your chances of large loses. An otherwise small fire can easily grow and spread throughout a structure quickly without the presence an extinguisher. In fact, in 75% of the cases where a fire extinguisher was used, a fire department was not required for assistance. Do not use a broom to clean up the dust, as this can aerosolize fine particles. Make sure the area is properly ventilated. Wash hands and any skin that comes into contact with the spray. Make sure family members and employees are trained in the use of fire extinguishers. If you have used a fire extinguisher in your home or business, act fast to avoid further damage to your home, business or belongings and call SERVPRO of Davenport/Bettendorf at 563-386-3540. At SERVPRO of Davenport/Bettendorf, we understand that your documentation is extremely important to you and your clients, as well as essential to running your business. When it comes to water damage, timely response and mitigation is key to restoring your damaged documents. With our rapid response and state-of-the-art technology, SERVPRO of Davenport/Bettendorf can help save your important and sometimes irreplaceable files and get you back to running your business quickly. The Document Restoration Team is very dedicated to your business’s privacy. In this way, all Document Restoration Team members are HIPAA Master certified; your documents remain under 24/7 video surveillance; and there is supervision of any team members entering and exiting the Drying Chamber Facility. Vacuum Freeze Drying—this process involves freezing your documents and drying them with various vacuums and pressures to achieve sublimation, which is the direct conversion of a solid (ice) into a gas (water vapor). 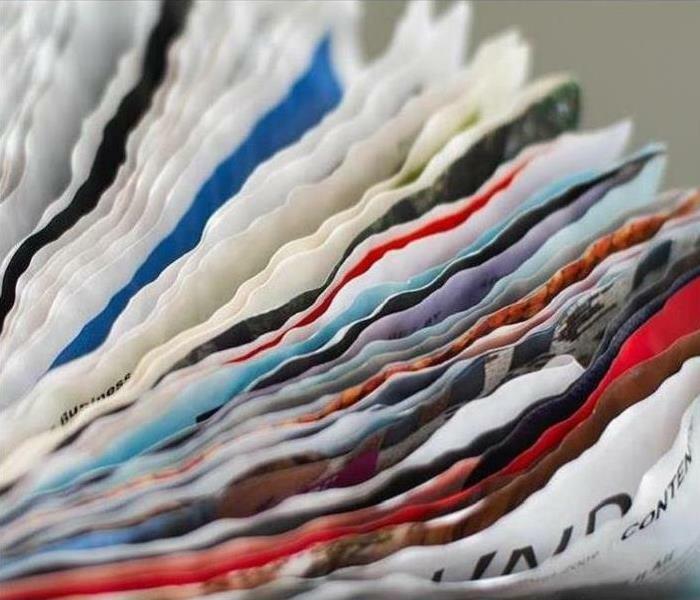 Digitization—we offer digitization of your business’s paper files, which can help create extra office space. If your file room was affected by water damage, digitization could solve this issue while preventing another water damage to files in the future. Gamma Irradiation—this is a process used for cleaning/disinfecting and decontaminating documents or other consumer goods. This is used in water damage involving sewage and waste. Certified Destruction—in the unfortunate event that we cannot save and restore your documentation, we also offer certified destruction and disposal of classified documentation. This can protect your business’s liabilities, brand image, or proprietary information. If your business has suffered water damage to documents, please call SERVPRO of Davenport/Bettendorf at 563-386-3540. Why Choose SERVPRO for Spring Cleaning? Winter is over and spring has begun; it’s time to clean! While SERVPRO provides disaster clean-up services after fires and water damage, we are also highly trained in residential cleaning services. In fact, SERVPRO of Davenport-Bettendorf has the expertise to provide a deeper clean than your basic house cleaning service. SERVPRO can inspect your HVAC system and ductwork, and provide cleaning services to help restore peak energy efficiency, remove offensive odors and improve the quality of indoor air. At SERVPRO we use the latest IICRC training, in addition to state of the art equipment, to remove stains trapped deep in your carpet. We will use IICRC standards to determine the best cleaning options for your particular stain and provide soil protection options for your carpet. At SERVPRO, we go straight to the source of your odor problem and determine the best methods for neutralization and elimination of the odor source. SERVPRO can help lengthen the life of your drapes and furniture with regular cleaning. We will inspect and test your items to determine the safest and most effective cleaning method. At SERVPRO of Davenport/Bettendorf, our staff is highly trained in all aspects of property damage restoration. Our employees receive ongoing training that is both hands on and web based. Additionally, our employees obtain certification from the Institute of Inspection and Restoration Certification (IICRC). The IICRC is the certifying body for the cleaning and restoration industry. IICRC Standards are developed to provide the highest quality concepts, terminology, and procedures recognized in the cleaning and restoration industry. Given our dedication to employee development, rest assured our restoration professionals will make damage to your home or business “Like it never even happened." SERVPRO of Davenport/Bettendorf uses advanced technology to bring your home or business to preloss condition effectively, reliably, and as fast as possible. Our advanced technology incorporates scientific principles from the field of Psychrometry. 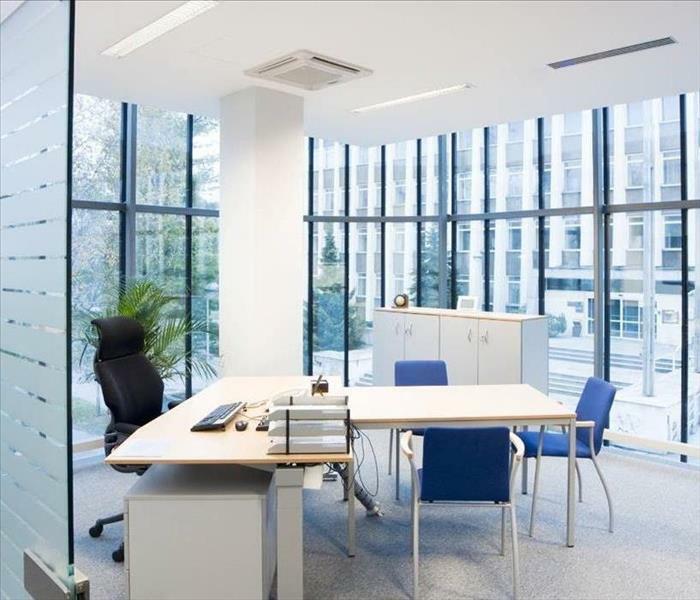 By controlling humidity, airflow, and the temperature of your property, we are able to remove moisture and dry affected areas quickly, preventing additional damage. Infrared cameras and moisture sensors identify water location—it’s the water you can’t see that does the most damage. Thermo-hygrometers measure both temperature and relative humidity, which allows us to calculate specific humidity, dew point and vapor pressure. DryBook Mobile is SERVPRO’s proprietary software program that uses the latest technology to ensure your property is drying quickly and efficiently. DryBook provided real-time documentation of the drying process and validates that the equipment used and services performed are executed to the IICRC Standard. 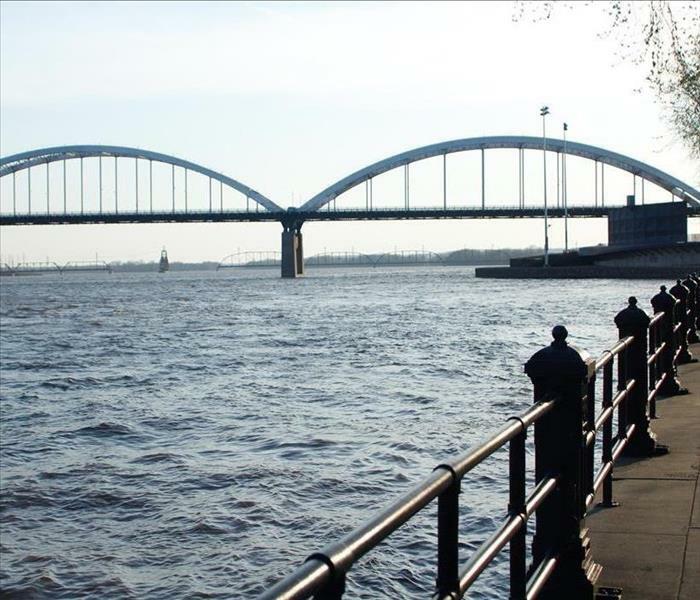 SERVPRO of Davenport/Bettendorf provides emergency services 24 hours a day, 7 days a week. This means no matter the day or time, we are here to help in your time of need. We are also faster to any size emergency, helping you to minimize damages to your property, as well as the cost for cleaning and restoration. This is especially important with water, as it spreads rapidly throughout your property into floors, walls, and furniture. If you have an emergency, let SERVPRO of Davenport/Bettendorf use our talented staff, advanced technology, and rapid response to make it “Like it never even happened." Call us at 563-386-3540. For more information, please call SERVPRO of Davenport/Bettendorf at 563-386-3540. Tornadoes: How Do they Work? A tornado, often called a twister, is a rapidly circulating column of air extending from the clouds of a thunderstorm to the ground. Tornadoes can create winds exceeding 300 miles per hour; though, even much slower winded tornadoes can cause destruction. While, most often, tornadoes last only a few minutes and do not travel much more than a mile before they disappear, others grow to massive sizes and travel for several miles, causing widespread devastation to communities. Tornadoes spawn out of severe thunderstorms as warm, moist air and cool, dry air is combined. As these 2 air types collide, an instability is created. As a change in wind direction takes place, coupled with an increase in wind speed, a horizontal spinning effect begins in the lower atmosphere. Then, as air rises toward the sky, the horizontal rotating winds become vertical, thus creating the tornadoes we all recognize. 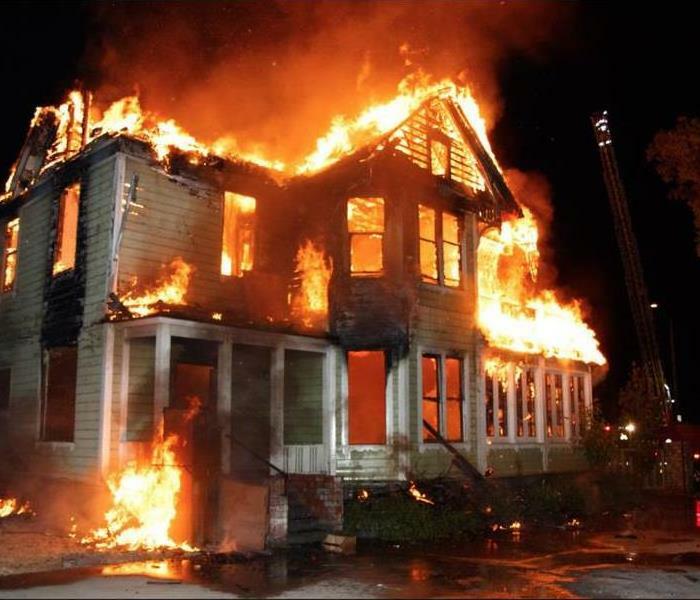 Damage caused by a fire can be extremely devastating for your family and home. By being prepared and taking essential precautions, such as regular safety checks, you can drastically reduce your chances of suffering the losses that come with fire damage. Make sure to test your smoke alarms at least every 6 months and to change the batteries as needed. Don’t ignore a “chirp”—if your smoke detector is chirping, the battery should be changed immediately to ensure it functions properly in case of a fire. Make sure to inspect heating devices in your home. Whether you have a forced air furnace or use space heaters, it is important to ensure that they are functioning properly to avoid a possible fire. This means changing filters or discarding heaters with damaged wires. In addition, your risk for a fire can be reduced substantially with yearly inspections. Always be sure that nothing flammable is on or near your oven or stove top, such as curtains, potholders, rags, or paper towels. Also never leave burners unattended while you are cooking, as this is a leading cause of house fires. If you must leave the room, remove the pot or pan from the heating source and turn it off. It is important to keep the lint trap on your dryer clean, as it can be a possible fuel source for an impending fire. For the same reason, make sure to check behind the dryer for stray lint or objects that may have fallen. Also, if you have a gas dryer, it is helpful to have it inspected once a year to ensure all connections are secure. Always be aware of where cords are plugged in and that they are being used properly—this means not overloading outlets or power strips with too many electrical devices. Also watch out for any damaged wires and repair or replace them as needed. And remember, because electrical cords can produce heat, do not cover them with anything, such as with rugs or furniture. For more information, please contact SERVPRO Davenport/Bettendorf at 563-386-3540. 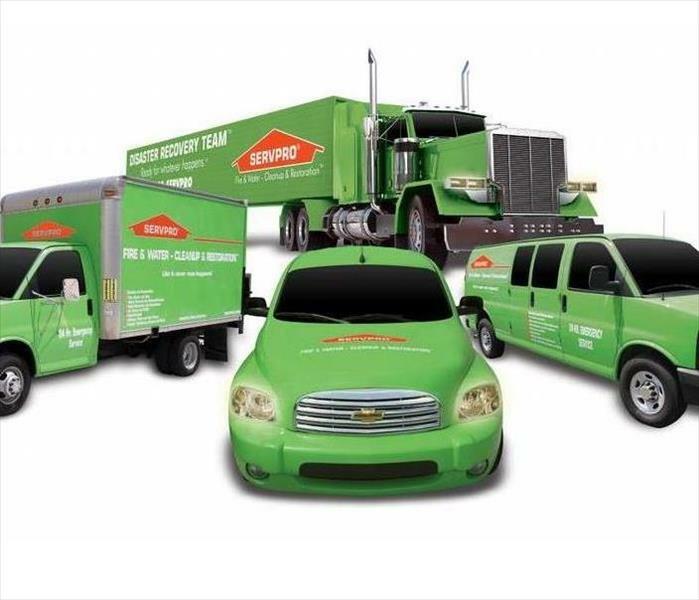 4/17/2019 - Why Choose SERVPRO for Odor Elimination? 3/19/2019 - Why Choose SERVPRO for Spring Cleaning? 3/14/2019 - Why Choose SERVPRO of Davenport / Bettendorf? 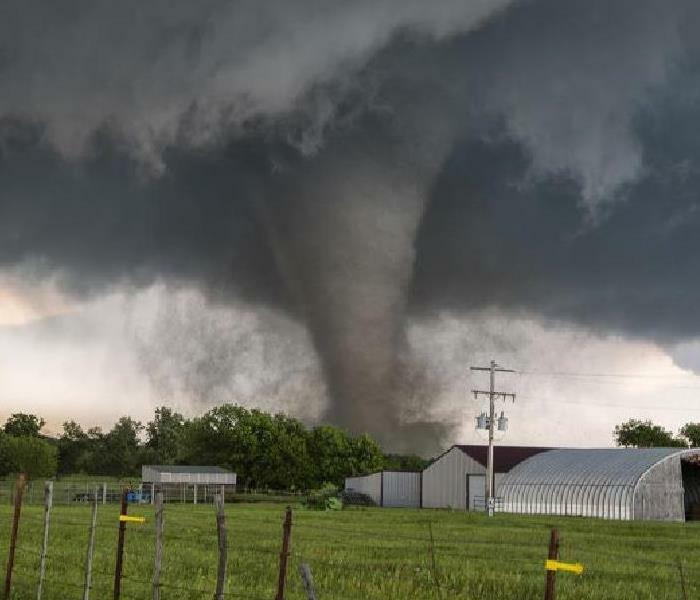 3/11/2019 - Tornadoes: How Do they Work?